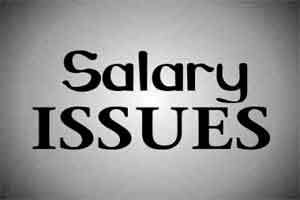 New Delhi: Desperate over non-payment of salaries, doctors working with the Municipal Corporations are running from pillar to post in search of some respite. Just two days after writing to NHRC to look into the matter, a delegation representing Senior Doctor’s Association ( MCD) along withTeacher’s Association ( MCD), Nursing Association and doctors of EDMC Association met with the Home minister, Mr Rajnath Singh asking for his intervention. As per sources, the minister has given due consideration to the issue raised by the doctors and have passed on a formal message to the mayor and the commissioner to intervene in the matter. According to Dr Aditya Gupta RDA President, Hindu Rao hospital, the representatives of various MCD hospitals have been trying to secure an appointment with the NHRC officials, but haven’t received any response till now. The next step would be to approach court again, process of which has already begun. Dr Pankaj Solanki, President FORDA, “It is shameful that government which is supposed to be the ideal employer, is the biggest harasser of its employees. It is shocking the way we are hearing the response of the authorities as simply saying that they don’t have any money to pay the salaries of employees. Why will anyone want to work with MCD in the future if the are going to continue with such exploitation?